The Pioneer CDJ-2000NXS2 inherits all of the best features from its predecessor - the CDJ-2000NXS - and takes a giant leap forward. 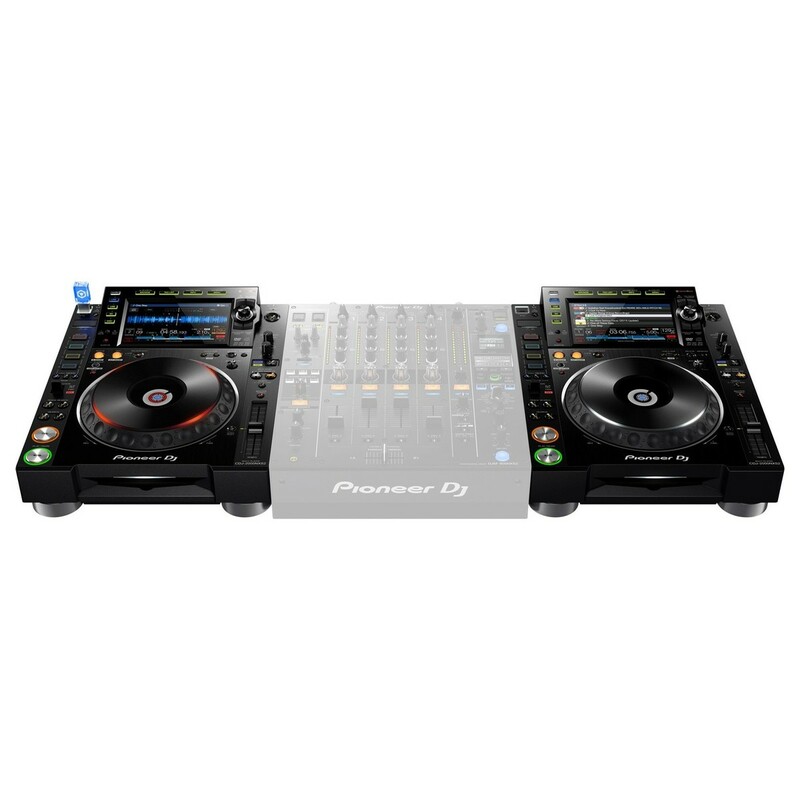 The new CDJ-2000NXS2 features a larger, multicolour touch screen with a qwerty keyboard, and search filters that help you quickly select tracks, and 2 banks of 4 Hot Cues that provide you with more creative freedom. 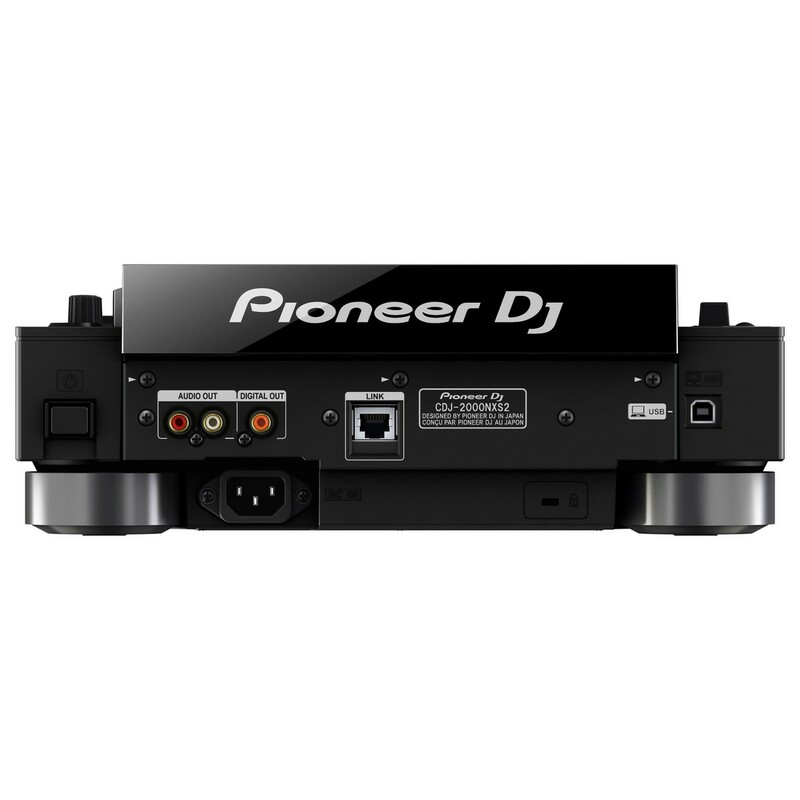 Other features include Pro DJ Link, a dedicated shortcut button, Beat Jump, and the ability to take your preferred setting with you wherever you play. Simply save your settings and tracks to USB/SD Card/Smartphone, for a versatile performance. 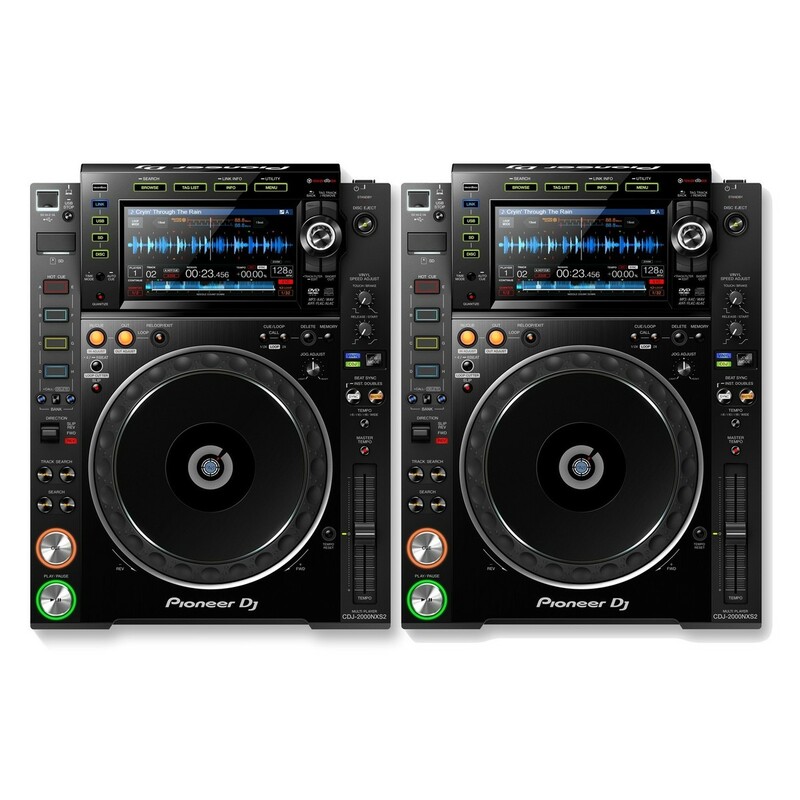 To ensure the CDJ-2000NXS2 delivers the best possible sound, Pioneer have added a 96kHz/24-bit sound card and improved both the digital signal processing (DSP) and Digital Out. Additionally, analogue noise is now reduced to a minimum via a high-performance 32-bit D/A converter and separate analogue power supply. The CDJ-2000NXS2 also supports crisp high-resolution audio for FLAC and Apple Lossless Audio (ALAC), as well as MP3, WAV, AAC and AIFF. The 7-inch, full-colour touch screen provides instinctive control over all of your favourite features. This innovative display also shows you all the information you need whilst performing, including Wave Zoom, Needle Countdown, Phase Meter, and more. Furthermore the Keyword Search and Track Filter mode help you browse and select your tracks faster whilst onstage - ensuring a flawless performance. The CDJ-2000NXS2 features 8 Hot Cues which can be set and customised within rekordbox. The 2 banks of 4 colour-illuminated Hot Cues put instant playback of pre-set cue points at your fingertips, perfect for remixing on the fly. Meanwhile, the Quantize function snaps cues and loops to the rekordbox beat grid to ensure a reliable and accurate performance every time.